Last week was hell on the bus due to a pot hole appearing in the middle of the road at Worcester Park Station. Workmen discovered a burst water main and emergency repairs had to be carried out. This caused delays of one and half hours during a heatwave. I felt so sorry for the poor bus drivers and don’t know how they didn’t go mad. 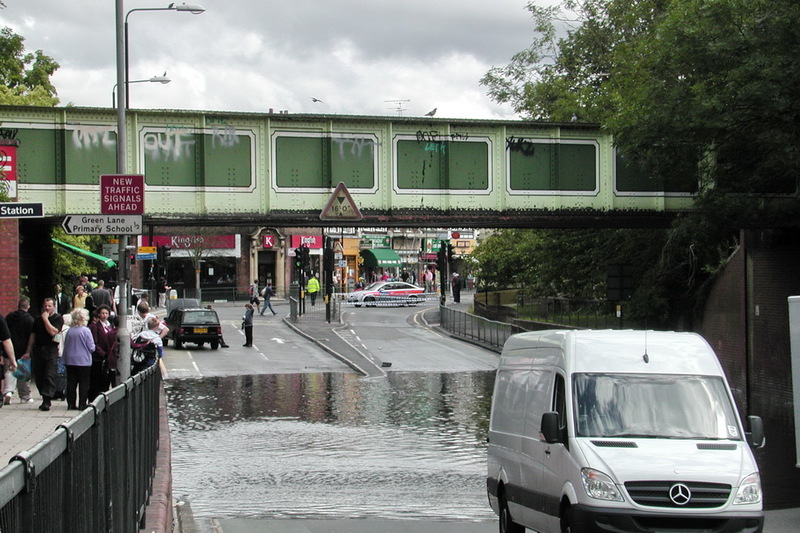 Thankfully, it’s all been sorted now but I thought I’d share this photo (provided by Ron and Julia – see previous post) which shows flooding at Worcester Park in 2007. The road had to be lowered and widened to allow double deck buses to pass under it and to deal with increased road usage. From the looks of it, the solution for providing adequate drainage at this crucial part of the road still hasn’t been found!